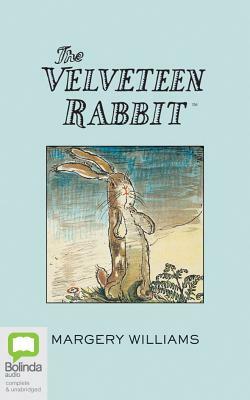 Still as poignant today as it has ever been, Margery Williams' The Velveteen Rabbit is one of the best-loved children's books of all time. In the nursery, only the toys that are old and wise truly understand what it means to be Real. The Velveteen Rabbit, a newcomer to the nursery, asks one of the most knowledgeable toys, the Skin Horse, what being real means. "Real isn't how you're made," says the Skin Horse. "It's a thing that happens to you. When a child loves you for a long, long time, not just to play with, but REALLY loves you, then you become real. It doesn't happen all at once. You become..."